These Booking Terms apply to "No. 27 Brighton", our officers, employees and agents (‘We’/’Us’/’Our’) and the person or legal entity making the Booking or to whom We supply services in respect of the Booking (‘You/Your’). These Booking Terms are governed by English law and apply to all Bookings except where We agree in writing other terms. 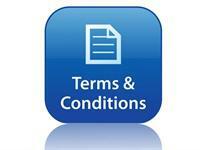 Bookings are made and a contract between You and Us comes into effect when We accept a reservation from You. We will accept a reservation when We have confirmed Your reservation and received the deposit payment of the total price quoted. You must be able to enter into a legally binding contract and be over 18yrs to make a Booking. Bookings must be paid for using an acceptable and valid credit or debit card. All published rates include VAT where applicable (and local taxes) at the current rate. Rates are per room per night. If You have selected supplements they will be added to the total price of the Booking. Rates do not include other costs you may choose to incur during Your stay (unless otherwise stated). Rates quoted are correct only for the specific number of guests, nights and dates shown. Should You change the number of guests, dates or room nights, then the rates are subject to change. We have some standard rules that are designed to ensure that we comply with regulations relating to matters such as fire, health and safety and to enhance the comfort and wellbeing of our guests. If you would like to check our conditions of stay please contact us. We reserve the right to terminate Your Booking immediately without being liable for any refund or compensation where You engage in unacceptable behaviour that causes a disturbance or nuisance to other guests. Other than for death or personal injury caused by Our negligence or misrepresentation, Our total liability to You is limited to the price of the Booking and to the fullest extent permitted by law all warranties are excluded and in no circumstances will We be responsible for any indirect or special damages. We will not be liable for failure to perform to the extent that the failure is caused by any factor beyond Our reasonable control. You are responsible for any damage or loss caused to Us or our property by Your act, omission, default or neglect and You agree to indemnify Us and to pay Us on demand the amount reasonably required to make good or remedy any such damage or loss. Smoking and or Vaping (e-cigarettes) is not permitted anywhere within No. 27 Brighton or its grounds. For the care of future guests, if you smoke in your room a charge of £100.00 will be made to your credit/debit card, without prior notice, for the cost of deep cleaning the room and your booking will be terminated with no refund of accommodation costs or supplements. All property and personal belongings left on the premises is done so at the owner’s risk. We accept no responsibility for stolen or damaged items. Luggage may be left at the premises after check-out up to a latest collection time of 2pm and only with the permission of the owners. Take-aways and other cooked food items such as curries, pizzas etc are NOT to be taken to or consumed in the bedrooms. Outside of breakfast service, food may only be consumed in the dining room with the permission of the owners. Check in and check out times may be altered by prior arrangement if required. It is Your responsibility to look after your key. If you lose your key there is a replacement charge of £50.00. 2 accessible via a staircase with hand rails on one side. From the Pavement their are 8 steps with hand rails either side to the Front Door, on the ground floor we have a single guest room and all other guest rooms are accessible via the stair case with hand rails on one side. If you have any concerns over accessibility to our rooms, please do not hesitate to contact us to discuss your requirements. No. 27 Brighton does not have a lift.